FRU+VE BITES are a smart, nutritious, convenient, ready to treat, and fresh from the fridge dog snacks. 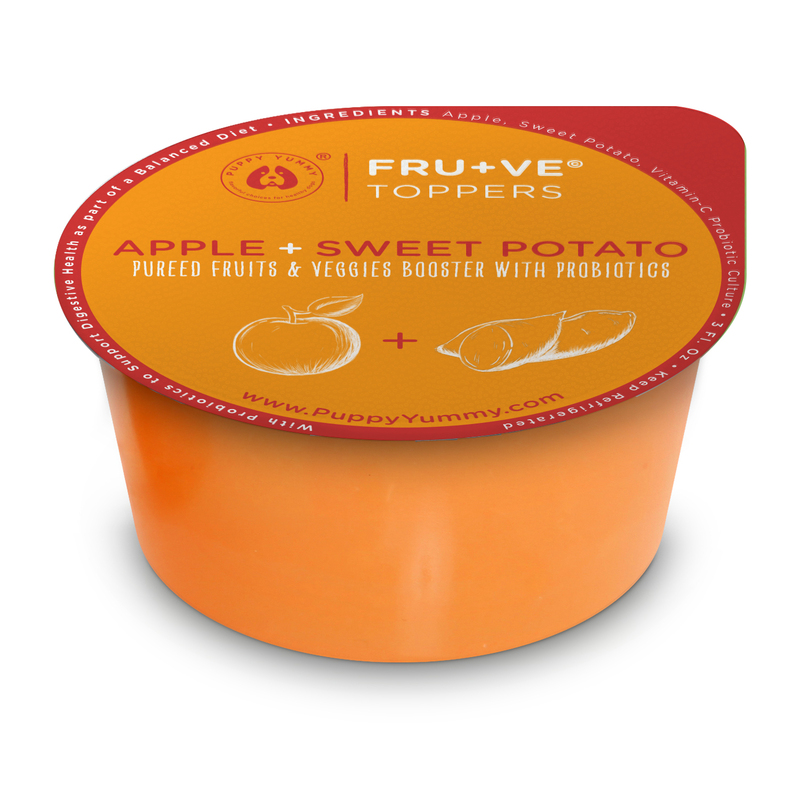 A cup of FRU+VE BITES is made with 100% pure, real, fresh fruits+veggies puree plus an exclusive live probiotic culture which no regular dog treat has. Did you know? Dogs cannot properly digest fruits & veggies nor are they able to absorb any nutritional value from them unless they are in a cooked form? . FRU+VE BITES allows dogs to obtain and absorb key vitamins and nutrients found in fruits & veggies by using only pure, real and fresh ingredients gently cooked to maintain nutritional value, pureed to be highly digestible for dogs and with an added live probiotic culture to help promote digestive health. * Puppy Yummy treats are less processed than traditional dog treats, however, they are fresh but NOT raw . They are gently cooked so there is no risk of harmful bacteria. Our dog treats contain no artificial preservatives and are made of all fresh and natural ingredients. To ensure freshness and guarantee best performance of the high-quality antioxidant blends and healthy ingredients we use, they MUST be refrigerated and use within 3 days of opening.